With ever increasing megapixel counts in smartphone cameras, do you need a dedicated camera at all? Or perhaps could you just get a really tiny compact camera? At this point in time at least, the answer is probably no. Or at least not if you really want consistently good image quality. The reason is, that these devices don’t have large enough digital sensors. The digital image sensor is the part of the camera that actually captures the image, from the light that is reflected onto it by the lens. The sensors are of a good size in any DSLR or mirrorless camera you are likely to buy, but in an iPhone or compact camera they are tiny. It may be obvious to you that a larger digital sensor might result in higher resolution in your pictures. But, there are other benefits of a larger sensor that you might not be aware of, which go well beyond resolution. Therefore, in this article, I want to explain why a digital sensor is so important to your photography. 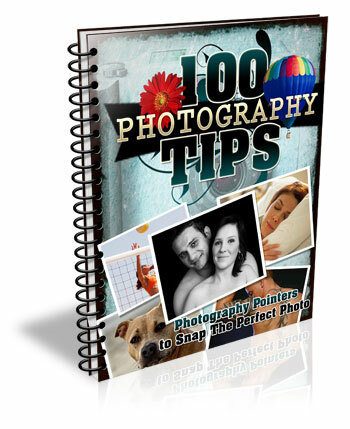 The fact is it may be the most important factor to consider when purchasing a new camera. Sensors in DSLRs and mirrorless cameras are generally either Micro Four Thirds, APS-C, or Full Frame. Any of these will usually work fine, and as you can see they are all of good size. The sensors for smartphones and compact cameras, on the other hand, are extremely small in comparison. Let’s start with the obvious thing – resolution. Having a digital sensor with a larger surface area provides the opportunity to include more pixels. Assuming the pixels are the same size, having a digital sensor that is 40% larger, reads that there can be 40% more pixels. That means higher resolution for your images, which in turn means more detail and the ability to make them larger. A larger sensor can also lead to larger pixels, which has significant benefits for your pictures. If you see a Full Frame camera with the same number of megapixels as an APS-C camera, that doesn’t mean they will have the same image quality. Rather, that means the pixels will have been spread out over a larger surface area in the Full Frame model, and as you will see in the remainder of this article, having larger pixels spread out over a wider surface area has a whole host of benefits for your photography. The number one predictor of whether a camera will have good low-light performance is the size of the digital image sensor. The camera testing that has been done shows a direct correlation between larger image sensors, and improved low-light performance. A company called DxO Mark tests all digital cameras and assigns them a low-light performance score, which it calls its “sports” score (presumably because using high ISO is important to sports shooters, who often face poor light and need to use fast shutter speeds). This score is actually an ISO value. Specifically, the score is the highest ISO at which the camera will create a picture, without noise becoming too large of an issue (there is actually a technical formula they use involving decibels and signal to noise ratio, but that is my layperson’s definition of their score). The higher the score, the higher the useable ISO for that camera. For example, if a camera scores 900, that means the highest usable ISO for that camera is ISO 900. A camera with a score of 1250 would mean that its low-light performance was better, and performed well up to ISO 1250. And so on. To explain this chart a little further, the range on the bottom is DxO Mark’s “sports scores,” which as mentioned above are really ISO values. Each camera was assigned a score, and I sorted them by sensor type. The range of values for Micro Four Thirds cameras is between ISO 757 and 896 (with the average at 825). The range for cameras with APS-C sensors is ISO 915 – 1438 (with an average of 1161). The range for full frame cameras is ISO 2293 – 3702 (with an average of 2811). Notice that even the lowest rated APS-C camera performs better than the highest rated Micro Four Thirds camera. Similarly, even the lowest rated full frame camera performs better than the highest rated APS-C camera. When it comes to low-light performance, sensor size appears to make all the difference. A larger digital image sensor also appears to lead to an increase in dynamic range for your camera. This is the range of tones that your camera can capture between pure white and pure black. The wider the range, the better. There is no simple measurement for dynamic range, so comparing cameras is difficult. Finding the low-end of the spectrum (black) has a lot to do with the low-light performance of the camera, because digital noise increases when capturing very dark tones. At some point, the noise overwhelms the picture, so the bottom end of the dynamic range scale is not really “pure black” but rather “usable black.” What that means for us is that low-light performance determines part of the dynamic range of the camera, and as we saw in the previous section, low-light performance is largely a function of sensor size. Therefore, it would appear that a larger sensor would mean a higher dynamic range. The digital image sensor testing done by DxO Mark bears this out. They call this their “landscape” score, and their results show a correlation between sensor size and an increase in dynamic range. The average for Micro Four Thirds cameras I looked at was 12.5 stops of dynamic range. That increased a bit to 13.0 for cameras with APS-C sensors, and then to 13.4 for full frame cameras. Therefore, a camera with a larger digital image sensor is very likely to have a larger dynamic range. All these scores are pretty comparable, and my point is not so much to compare these sensors (which will all get the job done), but rather simply to show that sensor size matters. Based on this, we can see that a camera with a much smaller image sensor (like a phone or compact camera) would not perform as well when it comes to these measures of image quality. If you want an appreciable degree of background blur in your images, you will need to use a larger digital image sensor. It is not just a function of aperture size (although that is obviously a very big part of it). In fact, it is virtually impossible to achieve a strong amount of background blur with a camera that has a tiny image sensor. The results are that cameras with very small digital image sensors like smartphones and compact cameras are worthless if you aim to include background blur in your pictures. They go on to show that the larger the digital image sensor, the more blur you can include in your pictures. Therefore, sensor size is an important consideration if you want to achieve any amount of background blur in your photos. One other impact that the size of the digital image sensor has on your photos – and one of which you might not be aware – is on the amount of diffraction in your photos. This may come as a surprise to you, if you are somewhat familiar with diffraction, because it is largely a function of using a very small aperture. Here’s how diffraction affects your pictures: When you use a small aperture, light reaching the edges of the image sensor can only get there after passing through the small aperture and then spreading out. That spreading of light causes the light rays to hit adjacent photo sites. Essentially, this spreading causes the light to sometimes hit the wrong photo site and leads to blur. What does that have to do with the digital image sensor? Remember that diffraction is caused by a scattering of light across photo sites. Therefore, if you cram a lot of megapixels on a digital image sensor, the photo sites will be very small, and the scattering of light will cross over onto other photo sites more easily. That will mean an increase in diffraction. But in a camera where megapixels are more spread out, the same amount of scattering, will have less of an impact on your pictures. As a result, larger image sensors where pixels are more spread out, tend to result in less image diffraction. Of course, camera manufacturers have adapted to this by introducing extremely wide angle lenses which are designed for cameras with smaller sensors. Still it is generally much easier to obtain wide angle pictures using a larger image sensor. It is not my intent to trash any particular camera, or system. The fact is that any camera is better than no camera, so use what you have. What I want to show here is that there are significant benefits to lugging around your DSLR, or mirrorless camera. 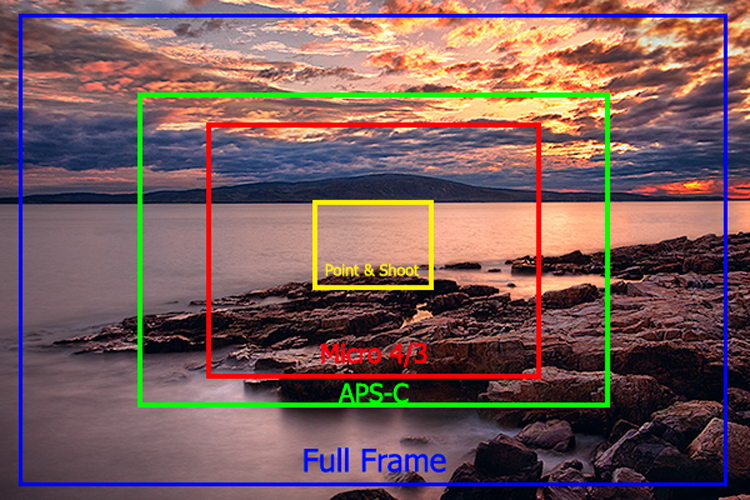 That is true whether it is a Micro Four Thirds, APS-C, or a Full Frame camera. The benefits go well beyond resolution, and affect your overall image quality. Larger sensors help you take better pictures in low-light, capture a greater dynamic range of tones, result in reduced diffraction, and let you achieve more background blur. So keep lugging around those cameras rather than trying to get it done with a phone or a compact model. Do you have any additional data or questions you’d like to add? Please share in the comments below. The post 6 Benefits of Using Cameras With Larger Sensors by Jim Hamel appeared first on Digital Photography School.